Hut next to the Mararoa River, on the Mavora - Greenstone Walkway. Winton Burn and Mararoa from Mavora Walkway • By Yarmoss. Licence: C.
Roof water supply is turned off in winter due to freezing conditions. Mavora Lakes Walkway. 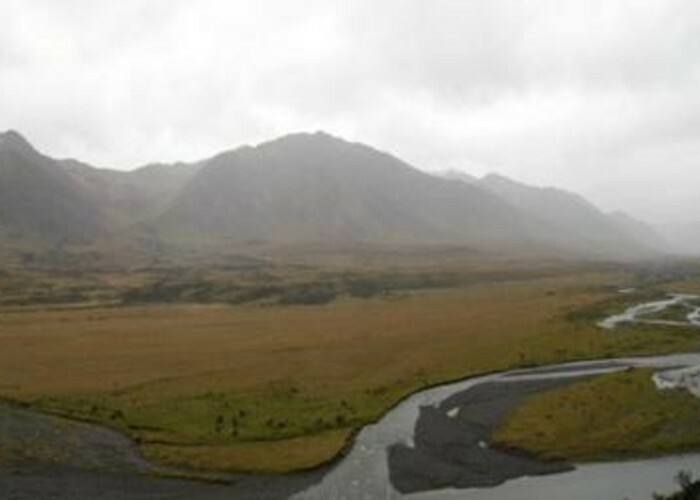 4-5 hours from Greenstone Hut to the north, or 3-4 hours from Boundary Hut to the south. Added 6 April 2014 by MatthewMatthew. 1 revision 15 May 2014 by MatthewMatthew.